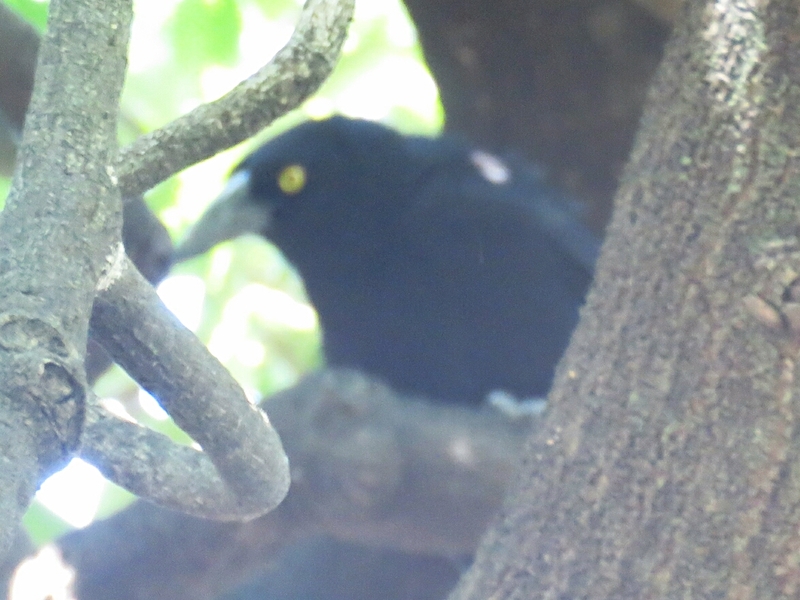 This is one of the currawongs that was badgering the Powerful Owl in the previous post. 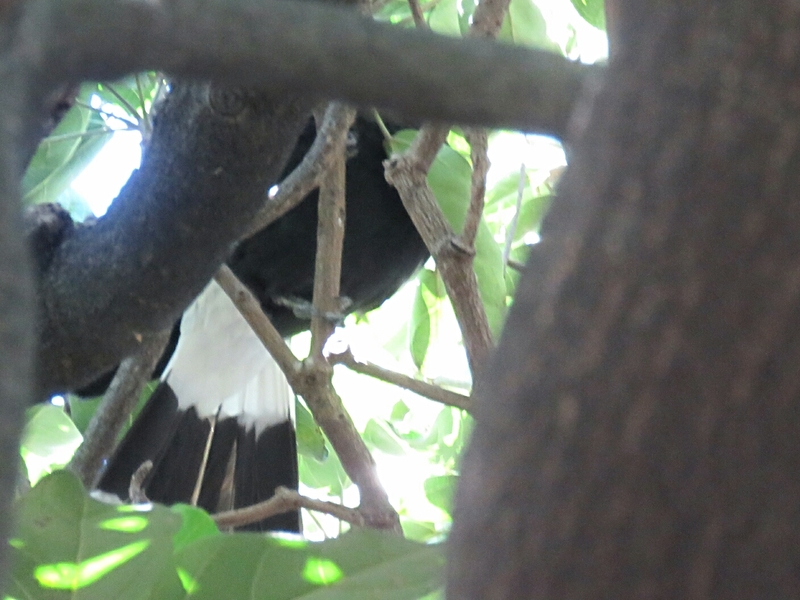 We can ID this currawong as a Pied Currawong by its generally black color; long, heavy gray bill; tail pattern of long white at base followed by black followed by thin white at tip and some white on wing (can see some of this in first photo). 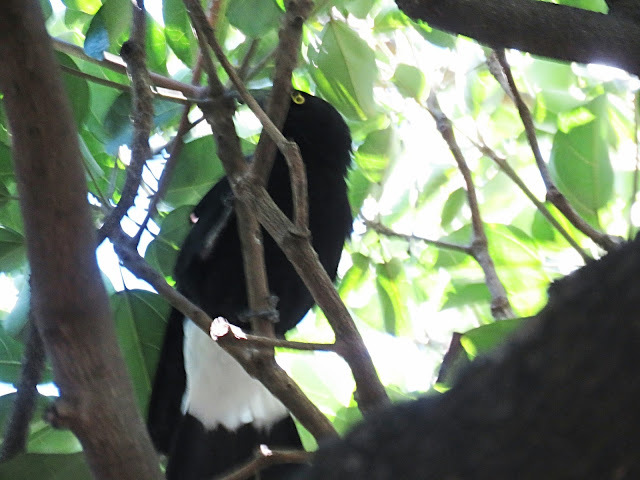 The Pied Currawong is a new species to our Photographic Life List, which now stands at 612.